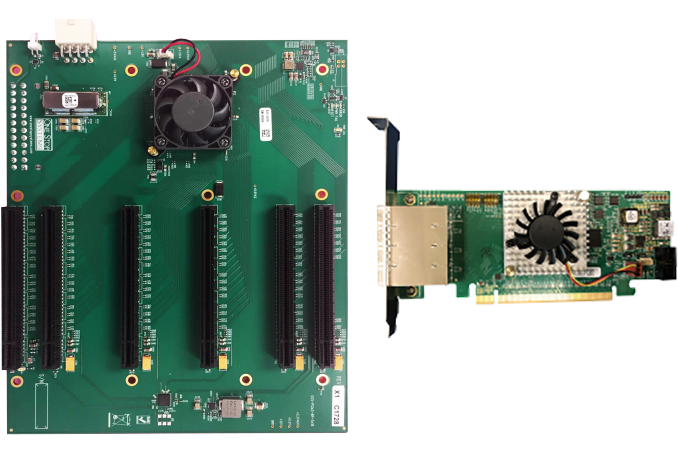 One Stop Systems this week introduced the industry’s first 5-way PCIe 4.0 backplane at NVIDIA’s GPU Technology Conference. The OSS 5 Slot Gen 4 Backplane is designed primarily for high-performance computing applications and enables the company to offer infrastructure building blocks necessary to build a PCIe 4.0-based HPC platform by separating one PCIe 4.0 slot into five. The OSS 5 Slot PCIe 4.0 Backplane (OSS-PCIe4-BP-5x16) features one PCIe 4.0 x16 target (upstream) slot, five PCIe 4.0 x16 downstream slots, as well as a PCIe 4.0 switch. OSS does not disclose which switch it uses, but companies like Microsemi have announced testing and sampling of appropriate chips to do it for months. The target (upstream) PCIe 4.0 x16 slot is used for the OSS PCIe Gen 4 HIB616-x16 card (or any other I/O card) that can connect to servers using four SFF-8644 cables at a 16 GT/s per lane data transfer rate. Meanwhile, two of the OSS 5 Slot Gen 4 backplanes can be installed into the OSS 4U Value Chassis, enabling installation of up to ten high-performance GPUs, NVMe SSDs, FPGAs, or other devices per box. To demonstrate its PCIe 4.0 HPC platform, OSS used eight NVIDIA Quadro GV100/Tesla V100 GPUs installed into its 4U box with two 5-way PCIe 4.0 backplanes inside. The chassis was connected to a serve using eight cables. 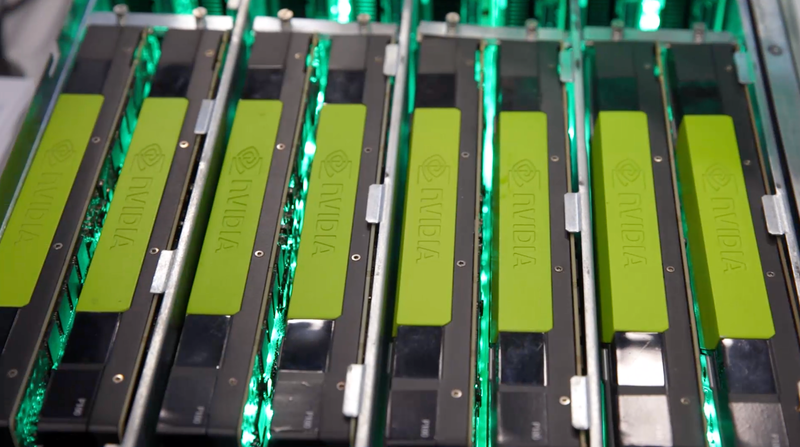 While NVIDIA’s GV100 GPU relies on a PCIe 3.0 x16 interface, they still benefit from the PCIe 4.0 backplane as the latter doubles bandwidth between accelerators and host machines to 32 GB/s. OSS expects PCIe 4.0 accelerator cards to emerge on the market this year. Besides, AMD’s second-generation EPYC processors for servers will also support PCIe 4.0. Therefore, in addition to IBM’s POWER9 there will be at least one more PCIe Gen 4-supporting CPU platform on the market in 2019. Pricing of the OSS 5 Slot Gen 4 Backplane is unknown, but typically such devices are rather expensive. For example, OSS’ 5-way PCIe 3.0 backplane costs $1,625. "Pricing of the OSS 5 Slot Gen 4 Backplane is unknown, but typically such devices are rather expensive."